Grace Leslie is an electronic musician and music cognition researcher. She is currently a postdoc at the MIT Media Lab where she develops music neurofeedback systems for creative and therapeutic applications. She received a PhD in Music & Cognitive Science from the University California at San Diego (UCSD). She has worked on psychoacoustic research and interactive sound installation projects with the Institut de Recherche et Coordination Acoustique/Musique (IRCAM) in Paris, and Audio DSP and User Experience design projects for Sennheiser, Kyocera, and Motorola. 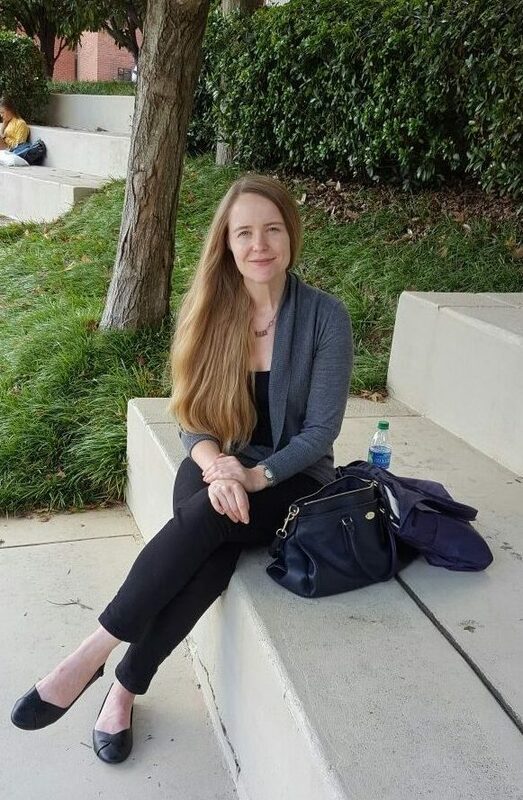 She did her undergraduate and Masters work in Music Technology at Center for Computer Research in Music and Acoustics (CCRMA), Stanford University. Why did you choose music tech as a field of study? What fascinates you to be in this area of music technology? The way I initially became interested in music technology was through my flute teacher during high school who introduced me to contemporary music, and through that, I discovered music technology. My father encouraged me to studying science and engineering, and gave me a computer and suggested I to learn how to use Linux and Matlab. I started attending classes at CCRMA as soon as I arrived at Stanford. I started out taking computer science and electrical engineering classes and also continued to play flute, specializing in contemporary and experimental music. I was encouraged to integrate my music technology studies into my flute performances and performed in concerts a lot while I was there, playing my own music and music from composers in the DMA program there. I felt very fortunate to be at CCRMA since it had been my dream to study music technology there for a long time. Tell us about your experience as a woman when you were a graduate student, both in the graduate and post-graduate environments. I had amazing professors at CCRMA and UCSD and those programs are very unique. At CCRMA I was able to start working on collaborative research projects with graduate students from my first few weeks in college, which was a very special thing about that department. At UCSD I had the chance to work on some amazing music projects and was always surrounded by incredibly talented musicians. As I progressed through graduate school and started to think about pursuing a career in academia, I started to feel more acutely that there was a lack of women role models. It hadn’t been something that impacted me until I got a little older, my life was changing, and noticed that I didn’t see as many women who were staying in academia after going through different life stages. That changed when I started to do more work in music cognition, where I encountered scientists from psychology, cognitive science, and neuroscience. These fields are much more gender diverse than the music and audio technology fields. So, how did you manage with a lack of role models? I had an amazing mentor during my internship that I took one summer. She had done her PhD work in music technology and then had gone on to lead a Research and Development section of a major audio technology company. She was responsible in introducing me to other women in academia and music industry as well. It was life–changing to have that kind of mentorship, just seeing someone who made it seem possible. I hear many similar stories from my peers who each had one particular role model who helped them find their way in the field. How was your experience making the transition to post doc from PhD? My path through the field wasn’t a direct one. I went from studying music technology to working psychoacoustics and design projects in the audio industry, and then did research for five years in a computational neuroscience lab. Now I am at the [MIT] Media Lab which is more focused on HCI work. My work is now informed by all these avenues that I have taken along the way. I wouldn’t necessarily recommend that path to anybody, but experiencing these other fields has made me a really interdisciplinary scholar. What would your recommend to a highschool girl who may want to pursue this path? It always helps to have very strong technical skills in one discipline, whether that means computer programming, electrical engineering, science, or math. I think that you have to see what is available to you, where you are, and make the best out of it. So, if your school has a chamber music group, then it might be a great opportunity for developing new kinds of performance technologies. I think the most important skill you can learn is how to make the best of the environment you are in that time. Were other people receptive to you making mistakes while you were doing your work? Yes, definitely. My career has hopped between a bunch of different places. The most important thing that I learned was how to be comfortable feeling really stupid where I am—or to put it more gently, feeling like I had a lot to learn. Especially as a young researcher, if you are not feeling stupid at least sometimes then you may not be in a great area for growth for you. When I first worked at this neuroscience lab at UCSD, I came in knowing little bit about engineering, most of what I knew was music technology, psychoacoustics, human subjects research. I thought I knew how to be a scientist and I realized really quick that I had an entire new field of study to learn, how to properly design my experiments and analyze data. That’s part of being an interdisciplinary scholar is this continual process of being humbled by the work going on around you. Did you have any experience of other people being biased towards you, since you are a woman? And how did you deal with it? Sure, I have felt like I was treated differently before, as the one female student in a room of male students. I didn’t really notice this until I started going to classes and collaborating with others in cognitive science or neuroscience where there are more women, and I felt a shift in the group dynamics. I think bias can take many forms and some of those are manageable for you and others are harder to deal with. I think you have to be very confident about the core values and needs that are truly important to you, and if any of those things are impeded by your environment then you have to say something. One of my close friends was fighting cancer a few years ago and shared with me this quote, “Be kind, for everyone you meet is fighting a hard battle.” It always helps to have this perspective in our efforts to understand others. Through the human subject studies, I get to meet people and interact with people. For my PhD work, I had to develop a training paradigm around an expressive movement exercise and to me it was really fun to be able to work with people again. As a student I felt like I sometimes went days without talking to people at the lab when I’m doing concentrated science or engineering work and I start to miss interacting with people. I love the collaboration and interpersonal relation that takes to build a big project. For me it has been meeting and working with music therapists and other musicians and scientists in the community who are not necessarily part of my academic world but share the same goals. You mentioned you had a mentor during your internship. Any other mentors that you think had an impact on your life? Diana Deutsch was at UCSD when I was a graduate student there and I had a chance to work with her a little bit, and talk to her about being a woman in science and women in academia. Her story is very inspirational, since she basically founded an entire field of study in the 1960s when it was so much harder. Same thing for my current advisor, Roz Picard, who founded her own field, conference, and journal a few decades later. And for the women who were a few years ahead of me in school and are professors and industry leaders all over the world now. Any woman who is a professor or a leader in her field and is making it work is really inspirational to me. So do you think that it gets difficult because it is a male dominated space?We have heard a lot about implicit bias in academia and tech, and that impacts anybody who might not exactly fulfill the expectations for what that particular scholar will look like and act like. That can happen not only for women, but also for minorities, international students, parents of young children, and older people as well. Music technology is an interdisciplinary field and it means a lot of different things to different people. In an ideal world, this would mean that there is less of the platonic ideal of what music technology scholar should look like—the interdisciplinarity of it can and should make it a more accessible field. Note: This interview is a selection of a longer Q&A interview, and the answers have been edited by the interviewee before publication. Previous November 2nd: Save the Date!